Coaches have spoken and they have been heard! Now you have two additional rights to give to the coaches you trust. Go to your "Staff" page and edit the rights of your coaches individually. "Is allowed to edit athletes profiles" - Select this option if you want your coach to update the profiles, contacts, etc. of his/her athletes. However, the coach will be able to do this only for his/her training groups! "Is allowed to manage athletes" - Select this option if you want your coach to be able to add new athletes to the club or remove them. The coach will also be able to add/remove athletes to their training groups on their own. Coaches with Android or iPhones will be happy as well. The new update will use the changes from the previous point. Let's say there is a new kid attending your training session and you want to add him/her to your club. Now you just have to take out your smartphone and add a new athlete (maybe take a picture of him or her as well?). Or let's say a parent contacts you during the training session and says, that he/she has a new phone number. 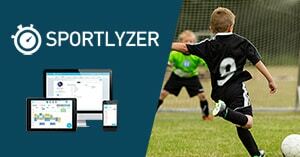 Just take out your smartphone and change the number in the Sportlyzer Coach Diary App. This change will go automatically to you and all the other coaches and manager(s) of your club. The same happens when any of the other coaches changes someone's profile data.